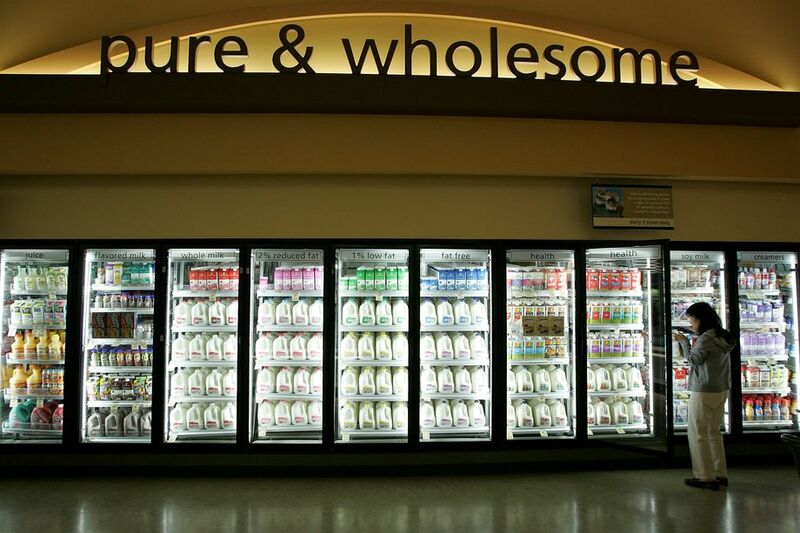 A shopper’s guide to the labels on meat, dairy, and eggs. On a simple run to the grocery store, we’re confronted by a dizzying array of food labels in the meat, dairy, and egg aisles. From “natural” to “Certified Humane” to “free-range,” it can be difficult to know which labels on animal products signal that the animals were treated better, and which are simply advertising fluff. Whether or not their meaning is clear, these labels can have big sway over consumers, and enormous consequences for the billions of animals raised and slaughtered for food each year in the US. Not a single federal law protects farmed animals during their lives on factory farms — which has led to a race to the bottom in animal welfare. For example, most egg-laying hens are crammed into cages so small that they can’t even spread their wings, chickens raised for meat have been selectively bred to grow faster than their bodies can handle, and most breeding sows in the pork industry are confined in crates so narrow, they can’t turn around for most of their lives. Consumers can play a role in reducing their suffering, whether that’s voting on state laws to fight factory farms, changing their own food choices, or pressuring food companies to adopt higher animal welfare standards. And those efforts have made a difference — even if conditions for these animals are in general still terrible, meat, egg, and dairy producers and food companies are slowly shifting away from some factory-farming practices. “There are around 17 billion land animals killed each year for food, and we estimate 1 to 3 trillion fish. These animals have very serious animal welfare compromises, involving very often severe spatial restriction,” says Andrew Knight, a professor of animal welfare and ethics at the University of Winchester and a veterinary specialist in animal welfare science. ”There’s enormous potential for improving the welfare of incredibly large numbers of animals by switching to systems that are high welfare, like free-range and organic systems where the animals have much more space to move around, to express their highly motivated natural behaviors, and to engage in natural social interactions in more enriched environments than on the extremely barren, deprived environments of modern intensive farms,” he adds. But which labels actually tell us something useful? Generally, animal welfare terms used on food labels are approved by the US Department of Agriculture (USDA). But the USDA itself does not legallydefine most of the animal welfare terms you see on labels. Instead, it often allows producers to define the terms themselves, as long as they provide proof that they’re adhering to them. There are also several nonprofit animal welfare rating programs that have their own labeling programs, such as Global Animal Partnership and Certified Humane, which are arguably more important because they outline clear requirements for each label and each farming practice. If you’re concerned about animal welfare, simple steps like reducing consumption of animal products — or just avoiding eating animals altogether — can make a big difference, much more so than opting for products from animals raised in better conditions. (Full disclosure: The organization I work for, Mercy for Animals, advocates for plant-based eating, and works to pass laws and pressure food companies to adopt higher animal welfare standards.) But if you’re looking for meat, dairy, and eggs, read on to learn what the various terms and rating programs really mean for farmed animals so you can help reduce suffering. Cattle gather for their morning feeding on a farm near Osage, Iowa. These labels are important to look for if you care about animal welfare, as they’re more meaningful than labels like “free-range” or “natural.” Unlike those other labels and terms we’ll get into, these ratings programs have independent auditing systems in place to ensure that manufacturers’ claims about animal welfare are actually implemented. Global Animal Partnership (GAP) was founded in 2008 with the support of Whole Foods Market, while Certified Humane has been around since 1998 and is probably the most well-known of these labels. Animal Welfare Approved was founded in 2006 and has the highest standards, which means it’s also harder to find. Here’s what each of these labels means. If “GAP-Certified” sounds familiar, you’ve likely seen it in Whole Foods, which uses GAP’s rating system. GAP is a nonprofit that uses a five-step program to rate the welfare of cattle, chickens, pigs, hens, bison, goats, sheep, and turkeys. According to GAP, about 290 million US farmed land animals — or about 3 percent — are raised under its standards. 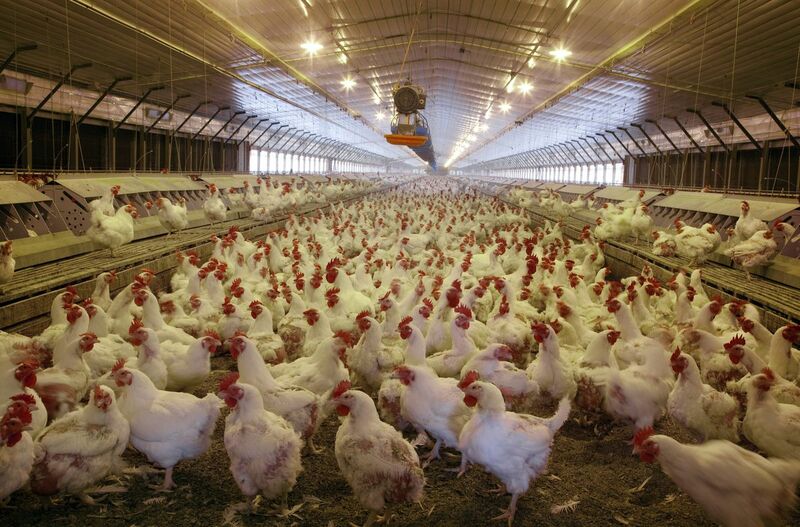 With commitments to improving the welfare of chickens raised for meat under the standards suggested by GAP from Boston Market, Dunkin’ Brands, Compass Group, and others, this number is set to increase substantially by 2024. GAP’s standards vary from species to species, and there’s a wide welfare gap between steps 1 and 5+. For example, for chickens raised for meat, steps 1 through 3 each require improvements related to space, air quality, lighting, outdoor access, and other issues. But not until step 4 are producers required to use “higher-welfare breeds,” which is perhaps the most pressing animal welfare issue in farming. Typical factory-farmed chickens are bred to grow so large so fast that many cannot even walk without pain. Switching to higher-welfare breeds — chickens that are able to move painlessly and engage in natural behaviors like perching and playing — is critical, as chickens are killed in greater numbers than any animal except fish. By 2024, GAP will require producers to use higher-welfare breeds for all steps. Leading farmed animal advocacy groups, including Mercy for Animals, have campaigned and negotiated to persuade more than 100 food companies (including Starbucks, Chipotle, and Subway) to adopt standards aligned with certain aspects of GAP that are meaningful for chickens raised for meat. Currently, McDonald’s is under pressure to do the same. The Animal Welfare Approved certification is overseen by the nonprofit A Greener World (AGW). 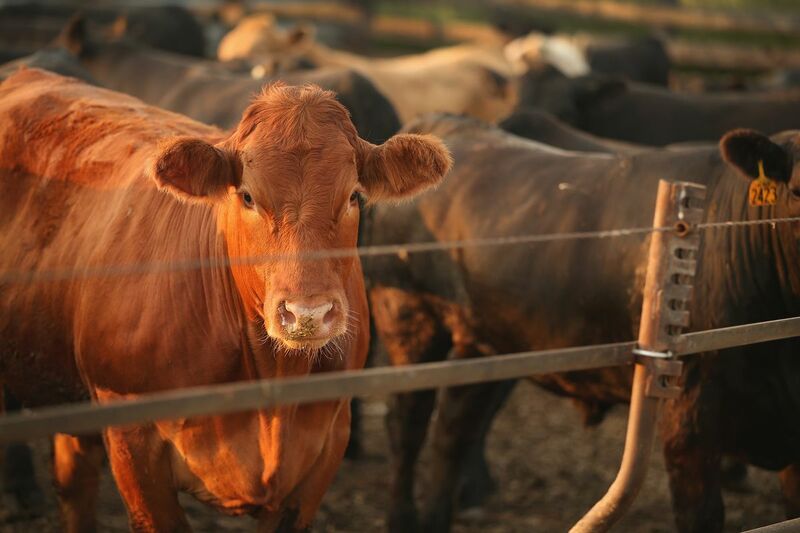 For a producer to receive certification, continuous outdoor pasture access is required for all animals, and crates and cages are prohibited for all species. Additionally, transportation time for all chickens and turkeys cannot exceed four hours, since they are not given food or water during transport and trucks are not climate-controlled, which can mean they can be very hot or cold. The label is not associated with a particular grocery chain, but you can see whether a product is Animal Welfare Approved by searching this database. Certified Humane is an animal welfare rating program also operated by a nonprofit — in this case, Humane Farm Animal Care. Rather than using an incremental ratings program, Certified Humane has set welfare standards for each species. These include no cages for hens and sows, and, for chickens and turkeys, shorter transport times and better lighting relative to industry standards. Cattle are required to have outdoor access, but chickens, turkeys, and pigs are not. The label is associated with this list of producers but no particular grocery chain. Certified Humane should not be confused with “American Humane Certified,” which is not recommended by animal advocates. “American Humane Certified standards simply do not promote good welfare. They allow mother pigs to be kept in gestation crates, hens to be kept in cages, and broiler chickens to be kept in dim, barren barns,” says Lauri Torgerson-White, a senior animal welfare specialist at Mercy For Animals (where I work). Now, on to the labels most of us are familiar with, such as “cage-free,” “organic,” and “pasture-raised.” They all sound nice and conjure images of a Babe-like farm, but what do they actually mean in practice? Are these products actually better for animals, and are these labels monitored for validity in any meaningful way? The answer, it turns out, varies widely depending on the label. One key thing to understand is that while many (but not all) of these labels require approval by the USDA, most of the standards are not enforced in a meaningful way. To gain approval in most cases, producers need only to submit documentation defining what the labels mean for their facilities. This is another reason the ratings programs created by advocacy groups are more important — they have systems for accountability in place. But knowing what these labels mean is nonetheless important if you want to be a more informed consumer. Here are the more common labels you’ll see, arranged below in alphabetical order. One bright spot in the plight of farmed animals over the past decade is the success of the animal protection movement’s cage-free campaign. Since 2008, seven states have passed laws to crack down on cages for egg-laying hens, and more than 200 food companies have committed to source exclusively cage-free eggs by 2025. Most cage-free eggs in the US are produced under the United Egg Producers’ voluntary standards, which require each bird be given 1 to 1.5 square feet of floor space, depending on the barn type, as well as environmental enrichments like perches and nests. Hens raised in cage-free facilities are likely not given access to the outdoors, but studies do show their welfare is significantly higher than in standard “battery cage” facilities, in which birds are kept in tiny cages that restrict them from even spreading their wings. While cage-free systems provide hens with the opportunity to lead better lives than their caged counterparts, numerous welfare concerns still surround cage-free facilities. Poor lighting, no access to the outdoors, and beak trimming, by which parts of birds’ beaks are seared off, are still the norm. Like caged hens, cage-free hens are often transported long distances to slaughter plants in cramped trucks with no food or water, as birds are excluded from the Twenty-Eight Hour Law, which says that animals cannot be transported in confined cars for more than 28 hours without stopping for rest, feeding, and water. The three primary animal welfare ratings programs — GAP-Certified, Animal Welfare Approved, and Certified Humane — all prohibit cages for egg-laying hens, as well as for breeding sows in the pork industry. Cage-free isn’t cruelty-free, but it is a meaningful step in reducing the suffering millions of egg-laying hens endure each day in the US and around the world. Fish make up the vast majority of animals eaten in the US and around the world (the estimate is 1 trillion to 3 trillion a year), so improving their welfare is important and urgent. For the most part, the fish we eat — even “wild-caught” — likely endured slow, painful deaths. Most wild-caught fish die while still conscious, typically suffocating on ice. One study found that it takes common species of fish 55 to 250 minutes to suffocate. Live gutting is a common practice, which can take 25 to 65 minutes to kill fish. According to the Food and Agriculture Organization of the United Nations, aquaculture is the world’s fastest-growing food industry. Increasingly, fish are being raised in what are essentially underwater factory farms, which pose a slew of welfare concerns. At aquaculture facilities, fish are raised in tanks, ponds, or sea cages and are often injured through overcrowding. Water quality is usually poor, and disease is common. The “wild-caught” or “wild” label is not well-enforced by the FDA.A 2015 analysis by Oceana found that almost half of the salmon sold in grocery stores and restaurants was mislabeled — farmed salmon was labeled as wild-caught. Another Oceana analysis uncovered routine seafood fraud in South Florida, and analyses with similar findings have been published by the Boston Globe and the Tampa Bay Times. To have the greatest impact on reducing suffering for fish raised or caught for food, your best option is to reduce (or forgo) consumption of them, considering current farming conditions and the absence of certification programs that are as rigorous as those for birds and mammals. The USDA defines this term only for chickens and other birds used for meat and for eggs carrying an official USDA grade, meaning inspected by the USDA. For chickens raised for meat or for eggs with a USDA grade, “free-range” means that the birds must be allowed outside for at least 120 days of the year. Space requirements and quality of the outdoor area, however, are undefined. Because space requirements are undefined, and because free-range birds do spend most of their time indoors, consumers should understand that free-range likely isn’t what they picture it to be: chickens spending all their time on pastures. 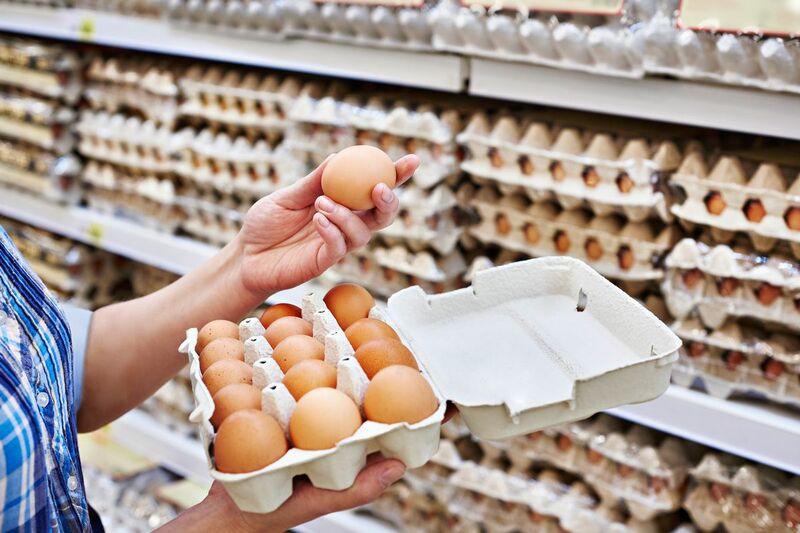 If eggs are ungraded (meaning uninspected by the USDA), producers only need to demonstrate that animals were “allowed access to the outside” to use the free-range label. As for other welfare labels, GAP-Certified recommends outdoor access for pigs, Animal Welfare Approved suggests continuous outdoor access for all animals, and Certified Humane does not recommend outdoor access at all. According to USDA rules, once animals have been weaned off milk, they must be fed only grass and other forage, such as legumes and hay. The term suggests images of grazing on open pastures, so one might think it means more access to the outdoors. In fact, it only refers to what the animals are fed, and to earn this label, the producer must only submit documents describing the animals’ diet. A cow could be fed grass indoors in factory farm conditions and still qualify. “Grass-fed” also doesn’t necessarily mean “grass-finished” (those that are fed grass up until the day they’re killed); sometimes, to fatten up cows before slaughter, producers feed them grain, although the USDA claims not to allow this. And the label doesn’t address many other common welfare issues, such as dehorning, disbudding, branding, weaning time, and transport conditions. But cows fed a grass-based diet are less likely to suffer gastrointestinal disorders and liver abscesses and sometimes have more access to pasture, making them generally less inhumane than cow products without a grass-fed label. The label “natural” calls to mind wholesome, bucolic images, but it actually has nothing to do with animal welfare. The USDA states that the term “natural” must refer to food that is minimally processed with no artificial ingredients and that product labels must include a statement explaining the meaning of the term. It also requires an explanation and supporting documents for producers that make this claim, but the agency doesn’t conduct on-site inspections to verify (unless the product also carries an official USDA organic label). “Naturally raised” is another term you might find on a package — and is in no way defined by the USDA or the FDA, rendering it meaningless. “Organic” is one of the few terms on this list that actually has a very specific legal definition related to how a product was made, what it contains, and how animals were treated. The label’s requirements are manifold but mainly refer to feeding standards and medication. Animals with this label can be fed only organic grass or grain with no byproducts and cannot be treated with antibiotics or hormones. The organic label also relates to animal welfare conditions. Organic producers must allow animals to graze outside for at least 120 days a year on pasture that meets USDA requirements. The living conditions for animals must “accommodate the health and natural behavior of animals” and include shade, shelter, an exercise area, fresh air, clean drinking water, direct sunlight, clean and dry bedding, and a suitable temperature. Conditions must also allow for “freedom of movement and reduction of stress,” and there are actual on-site inspections to enforce this. Furthermore, other welfare issues, such as forcible insemination, transport conditions, and separation of mothers and babies, are not addressed by the organic label. Mutilations, such as clipping pigs’ teeth and hens’ beaks, are actually encouraged if “needed to promote the animal’s welfare,” and in organic dairy facilities, calves can also be confined for up to six months of age, according to USDA regulations. Also worth noting is that in March 2018, the Trump administration withdrew the rule published in January 2017 to strengthen animal welfare requirements at organic farms. So while “organic” is a meaningful label, consumers wanting to support animal welfare should look to reduce (or forgo) animal product consumption or seek reliable third-party certification programs, particularly Animal Welfare Approved, GAP-Certified (look for a rating of at least 2 but ideally of 4 and above), and Certified Humane. There is no legal definition of “pasture-raised.” So theoretically, a company could let its cows out on the pasture only every once in a while and still define that as “pasture-raised,” if that’s what its definition allows for, rendering the label appealing but meaningless. The ratings programs above, however, do require pasture grazing for some species.